Rock with us! 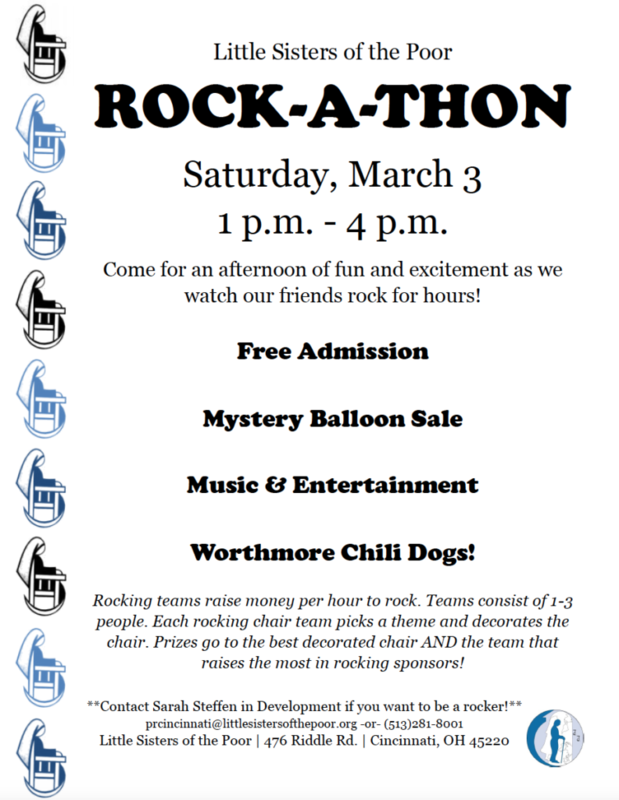 Become a rocking team (up to three rockers per team); collect sponsors from family and friends for each hour you rock! Prizes go out to the most money raised and the team with the best theme/decorated chair! Pre-register by February 23 by completing this form. As you collect sponsors for your rocking use these forms. Contact Sarah Steffen at prcincinnati@littlesistersofthepoor.org or call at (513) 281-8001 for more information.